Saturday, May 6, at the Wisconsin Maritime Museum in Manitowoc, Wisconsin. 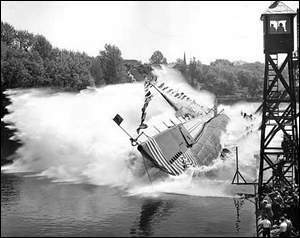 The USS Lagarto was one of 54 WWII submarines built in Manitowoc. It was found last year in 225 feet of water by two British divers in the Gulf of Thailand.